Get ready for more Gotham. One of the FOX series’ executive producers has revealed season three will have 22 episodes. The Batman prequel series was recently renewed for a third season. 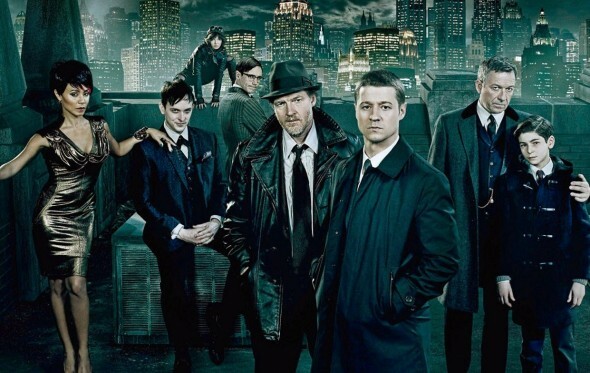 Both season one and season two of Gotham were ordered for 22 episodes. So far, the series’ second season has dropped considerably in ratings compared to season one. Last year, the show averaged 6.10 million viewers per episode. With only a few episodes left in season two, Gotham is only receiving around 4.3 million viewers per episode. What do you think? Do you watch Gotham? Will you stick around for season three? What do you hope happens? More about: FOX TV shows: canceled or renewed?, Gotham, Gotham: canceled or renewed? Gotham: Has the FOX TV Show Been Cancelled or Renewed for Season Four? I really enjoy this show. it gives a different angle to the characters of the batman series. once I started watching it I can’t take my eyes off of it. I look forward to every show. I hope this show goes on for years. I like to see when bruce wayne becomes batman. is kat going to be catwoman down the road? I absolutely love Gotham, it’s my favorite show! Everything is great in there: the script, the cast, the lightning, the costumes, the camera angles…the whole staging is on point! I really hope it doesn’t get cancelled, besides I’m sure the audience will raise when they’ll bring Jerome back. I love gotham it’s my favorite show. I love the Penguin! Robin Lord Taylor is an awesome actor and does the Penguin good! Looking forward to many more seasons of Gotham. I like Bruce that character is developing well and I love him getting older and his interactions with Cat. Oswald is my favorite character. Glad to see that Bruce is developing well, and growing in maturity. Jim and Harvey show real bro-love. Great partnership. Can’t say enough positive comments about this show. It may be a little silly, or over the top at times, but that is part of why it’s so entertaining. Doesn’t take itself so seriously. Jada Pinkett-Smith returning? Should be hilarious…Watch out Penguin! Can’t wait for the new season.